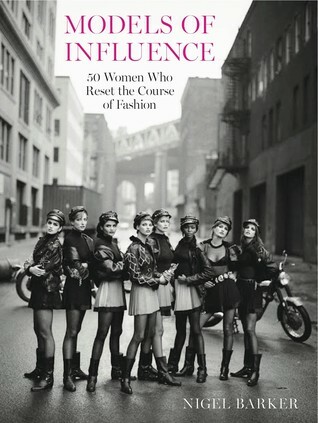 Models of Influence By Nigel Barker. Modeling seems diametrically opposed to being a good feminist. Models and advertising make women feel inferior. Not perfect enough. Not thin enough. Not pretty enough. Just not enough. You can be a feminine feminist who cares how she looks, wears make-up and likes fashion. You can be any kind of woman you want to be. We’re a consumer-driven society [unless like me you like to revolt against being like everyone else and shop at Goodwill and thrift shops] and these things must be advertised in magazines and commercials. Generally models do that. These days it’s cool for celebrities to be the face of a brand or to do advertisements when years ago that wasn’t the case. Just like TV actors didn’t do film and film actors didn’t do TV. As Gisele Bundchen said recently modeling is a job and when she gets home she’s no longer a model. I don’t read magazines that often anymore. I used to subscribe to music magazines as well as Elle, Vogue and Vanity Fair. I became first aware of models in my 20s when Christy Turlington, Naomi Campbell and Linda Evangelista—“The Trinity”– were supremely popular. The beautiful and smart Christy Turlington has always been a favorite for me. Models of Influence includes the triumphs and the tragedies of modeling. Barker includes plenty of information about each model’s career and a bit about their lives outside of modeling. He’s also selected wonderful pictures by world-renowned photographers. Interestingly no female photographers. Sharp and well-written. A beautiful coffee-table book if you enjoy beauty and beautiful faces and bodies. Barker divides the models into these sections: The Golden Age [Lisa Fonssagrives-Penn, Dorian Leigh, Bettina Graziani, Dovima, Carmen Dell’Orefice, China Machado]; The Cult of Personality [Jean Shrimpton, Veruschka, Peggy Moffitt, Twiggy, Penelope Tree, Naomi Sims]; The Beauty Revolution [Lauren Hutton, Jerry Hall, Margaux Hemingway, Iman, Janice Dickinson, Gia Carangi, ; The Million-Dollar Faces [Christie Brinkley, Brooke Shields, Ines de la Fressange, Isabella Rossellini, Paulina Porizkova, Elle Macpherson] ; The Supermodels [Christy Turlington, Linda Evangelista, Naomi Campbell, Cindy Crawford, Tatjana Patitz, Stephanie Seymour, Claudia Schiffer, Helena Christensen, Tyra Banks] ; The Androgynes [Kate Moss, Kristen McMenamy, Amber Valletta, Stella Tenant, Alek Wek, ; The Noughties [Gisele Bundchen, Sophie Dahl, Natalia Vodianova, Liya Kebede, Daria Werbowy]; The Contemporaries [Coco Rocha, Lara Stone, Liu Wen, Karlie Kloss, Joan Smalls, Kate Upton, Cara Delevingne]. Some models are familiar and others not. It’s interesting that many models in the 40s and 50s didn’t start modeling until later in life. Also they gave it up when children came along. Top models pursue interests in art, dance, curating art, expression, business and design. They’ve also been humanitarians and remain involved in giving back in huge ways through their own foundations or other international organizations. — Often called world’s first supermodel due to her versatility from art photography to editorials to hair dye ads. –in 1973 she signed a three-year contract with REVLON for $1 million. FTC Disclosure: I received this book for review from Harper Design/Harper Collins. This entry was posted on February 10, 2015, 19:16 and is filed under Books. You can follow any responses to this entry through RSS 2.0. Both comments and pings are currently closed.